Your vehicle is rinsed down with spot-free water to remove any loose debris, then sprayed with a foam bath of cleaning and conditioning auto shampoo. Your vehicle is then washed with extra soft cotton mits to remove any contaminates and grime. The vehicles wheels and wheel wells are cleaned to perfection.Your vehicle is then rinsed down once again with spot-free water. the vehicle is then hand dryed with soft micro-fiber towels and excess water is air blown to avoid those un- wanted drips. The tires are dressed and conditioned. Your Vehicle interior gets the equal attention. Your vehicles interior gets thoroughly vaccumed, panels and dash get a good dusting. We complete the handwash with a thorough cleaning of the glass, inside and out. 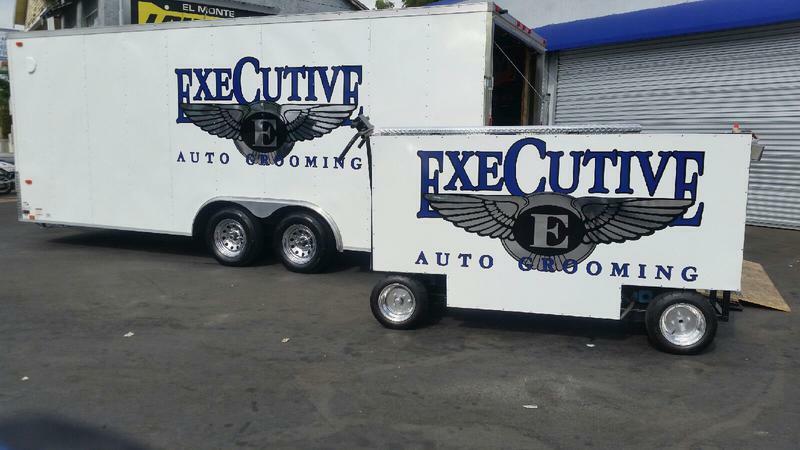 At Executive Auto Grooming, we take care to provide our customers high quality services personalized for their unique needs. We are available to take your order 24 hours a day, 7 days a week. Our staff members are professional, courteous and efficient. We start with a complete Executive wash and then we clean and condition all panels, dash, instrument panels, center counsel. The seat are thoroughly shampooed and conditioned. The carpeting is shampooed and steam cleaned, (including matts).all interior is cleaned and conditioned. we even detail your car seats free of charge. We leave your interior smelling clean fresh and rejuvenated.